Mind to Win Camp 2018 - N. Ireland! No matter how great our skills are, if we can't get our head in the game, our abilities will not get us results. What's going on between your ears is AT LEAST as important as anything that's going on south of them. So that's what Mind to Win Camps are about. 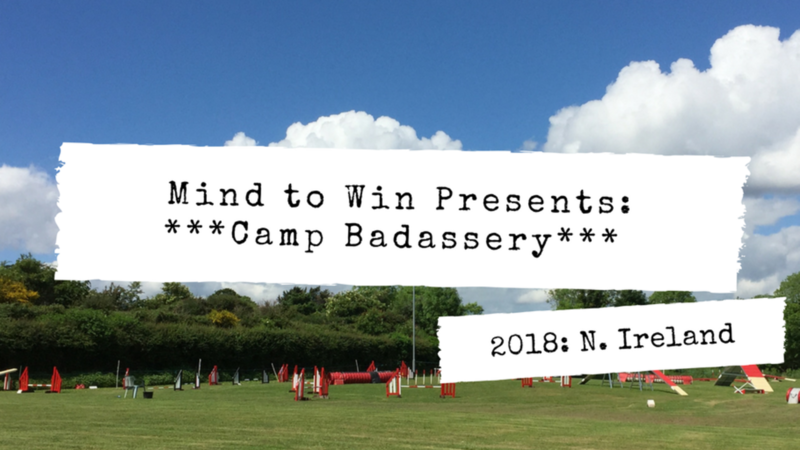 This year's Camp Badassery is open to anyone, whether you're a new competitor or a seasoned pro, no matter what height of dog you run, and no matter what organisation you compete under. If you are involved in agility, and want to work on what's going on between your ears, then this is for you. * And more. As ever, our curriculum will be flexible to make sure each participant gets what they need to make progress. 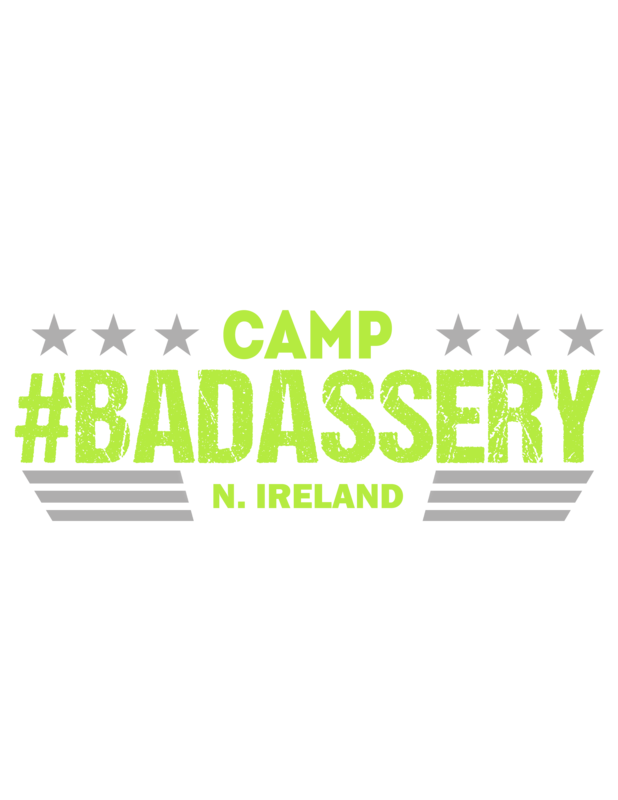 * Your own Camp Badassery 2018 workbook! Nowhere else do you get the professional expertise and experience of Dr. Kathrine working in tandem with an eagle eyed technical coach such as Megan Foster, at the same time. By using this finely tuned tag-team method, you are getting each end of the leash focused on and addressed, AT ONE TIME, IN ONE CAMP. This wraparound approach to training means that even if you're in a technical session working with Megan on your handling skills, for example, Dr. Kathrine is there so that, if something comes up that relates to the human end of the leash and the human's part in the partnership, Megan will bring Dr. Kathrine in to assist with that element. And vice versa. Megan participates in all Dr. Kathrine's sessions and is on hand to bring her expertise into play whenever required! This strategy works seamlessly and enhances the confidence you can have in the help given, knowing that it's not merely one person's perspective from their expertise, but is the combination of BOTH Dr Kathrine and Megan's expertise AND their collaborative approach to working together which has been refined over the past years and multiple camps they've presented. ALL THIS FOR ONLY £220 (US $297) , with only a £70 (US $90) deposit to pay now!